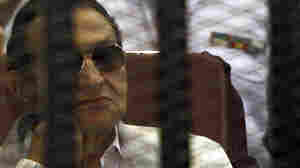 August 22, 2013  The 85-year-old former president of Egypt is now under house arrest while he awaits a retrial on charges related to the deaths of protesters during the 2011 demonstrations that toppled his regime. 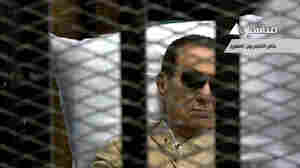 He reportedly was flown by helicopter to a hospital in Cairo. 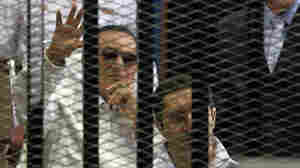 August 21, 2013  Former President Hosni Mubarak could be freed from custody as soon as Thursday. 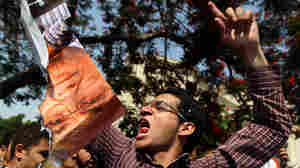 The court ordered him to be freed as he appeals his conviction — and life sentence — for failing to stop the killing of protesters during the 2011 demonstrations that led to the toppling of his government. 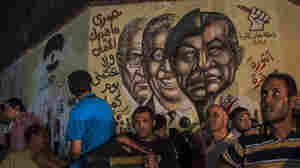 July 2, 2013  As a deadline set by the military looms, President Mohammed Morsi is being pushed to find a way to address the complaints of protesters. 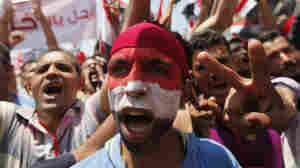 The army says it is not planning a coup. 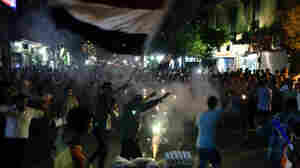 But Morsi's supporters say that's just what is happening.